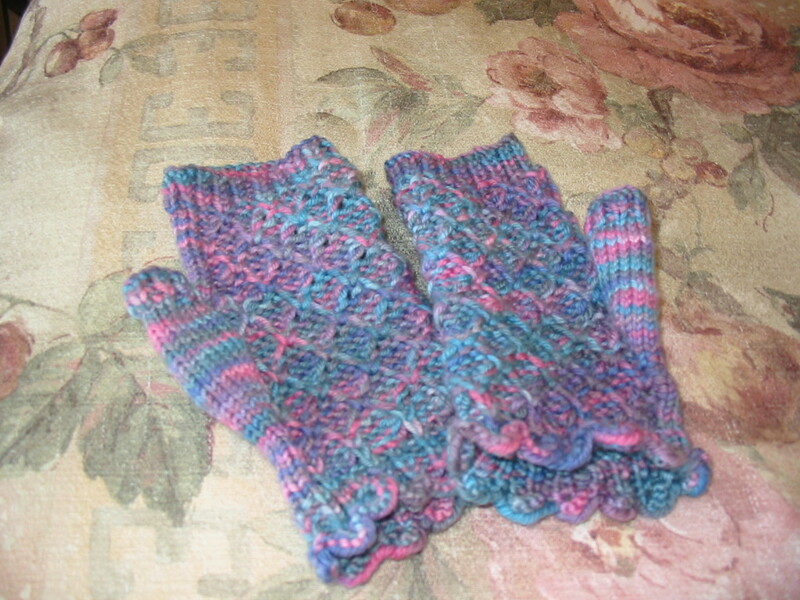 One of the faster knitting projects, besides washcloths. I had never knitted mittens or gloves before but this project has given me the confidence to go onto full fledged mittens which I started a week or so ago. But I will have to put those aside for now until after Christmas because I still need to finish my Christmas knitting and stitching projects.